Welcome to the mad house. Or as it's more commonly known, Wooly's Sanitarium. I hope you enjoy your stay as it's going to be a long one. Welcome a board Fred! I hope you enjoy yourself. I guess someone already showed you the Waifu claim thread huh? I will say, I'll overlook you liking SOA *feels a dry heave coming on* since you like KanColle. Whos your fav ship girl? Hullo, hullo, what's this? A new member? What do you need to know about me? Hmmm... Ah! 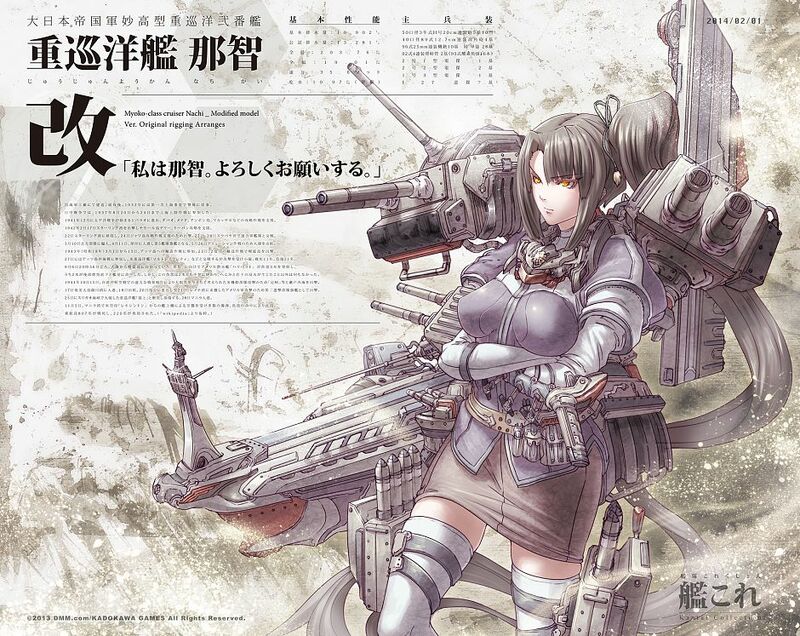 I also play KanColle (Super infrequently though, I have 2 other mobile games I play) and my KanColle Waifu is Nachi! Re: NEET Detective, It\'s the only NEET thing to do. Hmm, I guess I ought to extend a formal welcome. Nice to meet you, Fred (yes, I shall call you Fred as well). Enjoy your stay. This used to be a visual novel forum, and then we got bored and started doing RPs (that's the story I'm going with, regardless of accuracy), and that seems to be the fate of this place now. Hopefully you'll join in somewhere and feel at home. Well, we've already had chance to exchange a few words. You've already been introduced to the ways of the Commbox, it seems~ Hope you'll have fun! Oh I will! Can't wait for My Little Dictator to be released!